I Wanna Write a Blog But Where The Hell Do I Start? Win a Fabulous Beginners Guide! | Life Love and Hiccups: I Wanna Write a Blog But Where The Hell Do I Start? Win a Fabulous Beginners Guide! I Wanna Write a Blog But Where The Hell Do I Start? Win a Fabulous Beginners Guide! Pin It If you told me 8 months ago that I would be writing a blog I would have snorted my vodka and lime through my nose and looked at you like you had three heads. For starters I'd have been peeved that you made me spill my Vodka, but even more so I would have been confused because I had NO idea what you were talking about. I didn't even know what a blog was apart from one hellava weird word. Seriosuly say the word Blog out loud. Is it just me or does it sound kind of strange. Blog Blog Blog Blog Blog Blog. Its one of those words that the more you say it the stranger it sounds .... or maybe that's just me! Anyway I was in the middle of a story here and I did have a point. Sure I had some favourite websites that I religiously visited like I Heart Organizing and Woogsworld, but I had no idea that those websites were what you called blogs (sorry now I cant stop laughing every time I say blog!). They were just really cool websites that I had saved in my bookmarks tab on my computer. I'm not going to go into the story about why or how I discovered what blogging meant and how I randomly decided one day to give it a go for myself, if you really want to know about that you can read about it here. This post is more about encouraging others who have thought about giving it a go, to just do it, just go for it. Even now when I talk to some of my friends or family about blogging, they have no idea how involved I have become in it. It is not until I tell them about the gorgeous new friends I have met, sites I have discovered and opportunities I have had, that they realise that there is more to blogging than just typing words onto a website and hitting publish. Blogging has a community and it is like a parallel world that I never knew existed. This community is made up by the most colourful and amazing people. Bloggers don't come in a one size fits all - there is something for everyone. They come in all the different flavours you can imagine, sweet, shy, bold, hilarious, obnoxious, witty, stylish, sarcastic, crafty, dry and just downright delicious. All these bloggers, from the most successful to the ummmm unique, all had to start somewhere. They had to put themselves out there, write that first post, hit publish and wait to see what could or would unfold. Now I am NOT going to give you any advice at all on blogging as I am a total novice myself and am learning new stuff everyday. What I can give you though is the heads up on a fabulous new ebook by Louisa Claire aptly named How to Start A Blog - A Beginners Guide. Louisa has been blogging for over 5 years so she has a wealth of experience. Aside from her gorgeous blog Louisa Claire :The Mostly Truthful Tales of a Suburban Housewife, She also runs a fabulous boutique Social Media Agency called Brand Meets Blog that specialises in brand and bloggers relations. You can stalk find Louisa on Facebook here. Can I tell you - I so wish I had this book when I started 8 months ago. I could have saved all those hours of googling how to do this and how to do that. 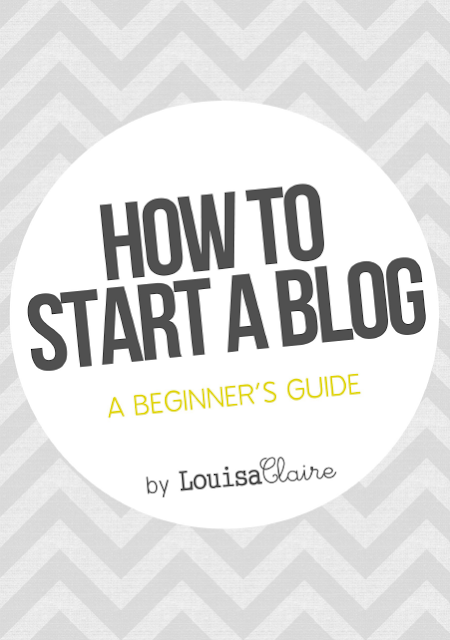 Louisa covers everything from the basic What is a blog? 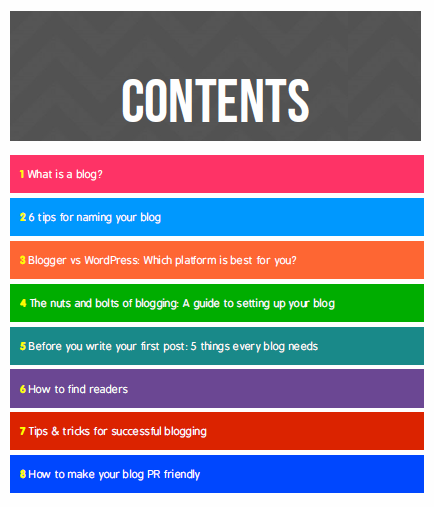 To advice on what platform is most suited to you, the nuts and bolts of blogging and how to make your blog PR friendly. You can purchase a copy of Louisa's book for a small fee of $8.00 by clicking here. Louisa is also giving away a copy of the book to one lucky reader. So if you have toyed with the idea of starting a blog, or you're just starting out on your blogging journey or even if you already have a blog but need a little direction or want to get back to basics, you've gotta enter to win this one. The competition is open now and closes next Wednesday 23/05/2012 at 8pm AEST. This competition is only open to anyone from anywhere that has access to the internet. To enter you just need to leave a comment on this post ... simple as that. You can earn a bonus entry for telling me how fabulous my stripy bed socks are. Not not really... I mean they are fabulous but you don't really get a bonus entry. OMG! OMG! I so wanna blog.